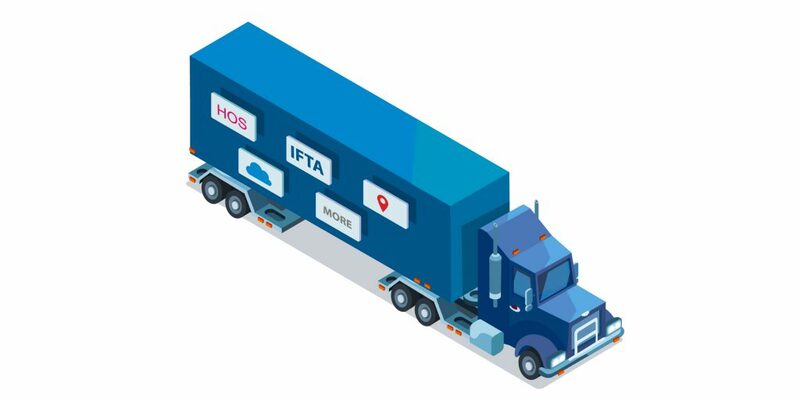 A robust fleet management and compliance solution that works. 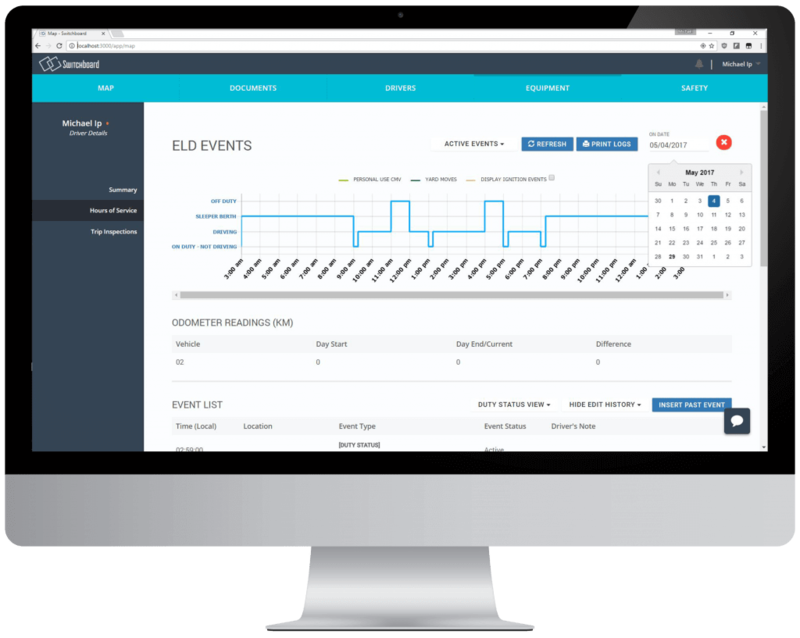 Use Switchboard to manage your fleet, and maintain compliance easily. Switchboard provides technology that get set up in minutes. 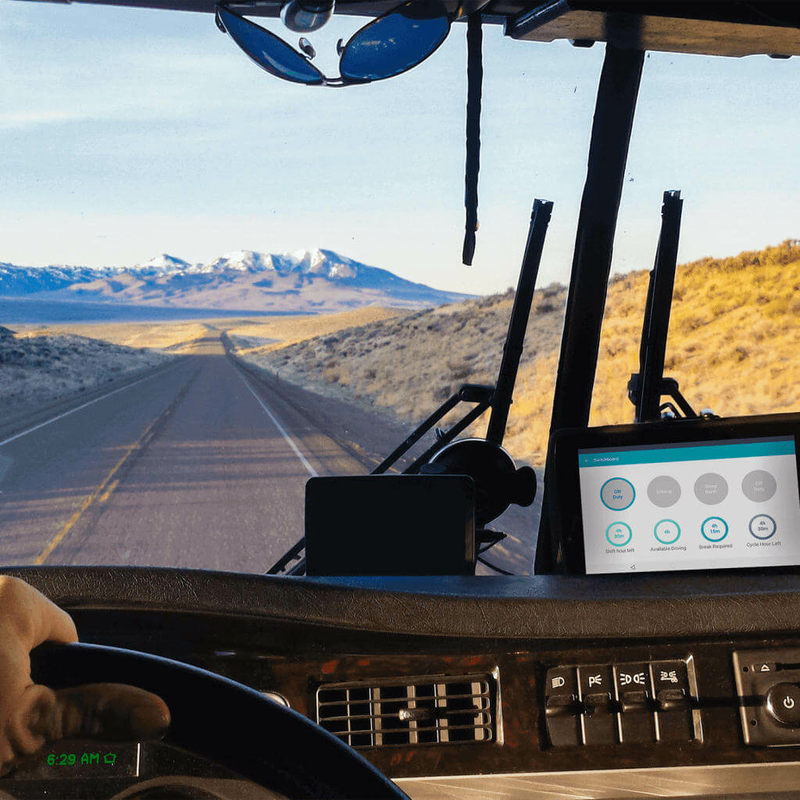 If you’re looking for FMCSA compliance or robust fleet management solutions, we have you covered. To serve your customers best, you need ensure that your vehicles and drivers are in compliance, and that they are using technology properly. You need technology that works instantly, without the cost. 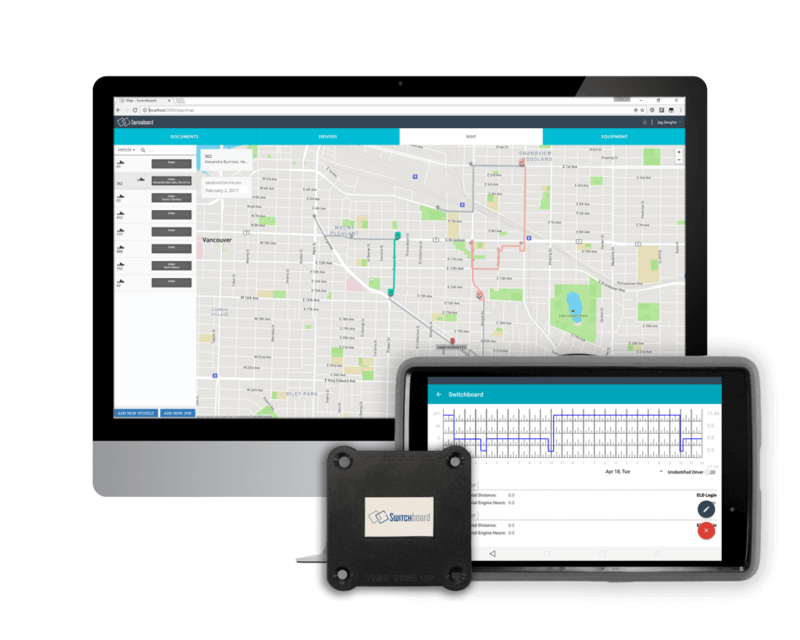 Reduce driver headaches and fines by using industry-leading compliance technology that get set up in minutes. Compatible with State & Province specific Hours-of-Services rules. Never lose track of your vehicles and trailers with smart GPS and geofence technology. LTEM technology that ensures your devices are consistently connected and future proof. Analyze the performance of your fleet at the touch of a button. Automatic calculation of IFTA reports, messaging with your drivers, and more at your fingertips. Switchboard is right for Centurion because it is truly built to what my fleet, dispatch, and safety divisions need. 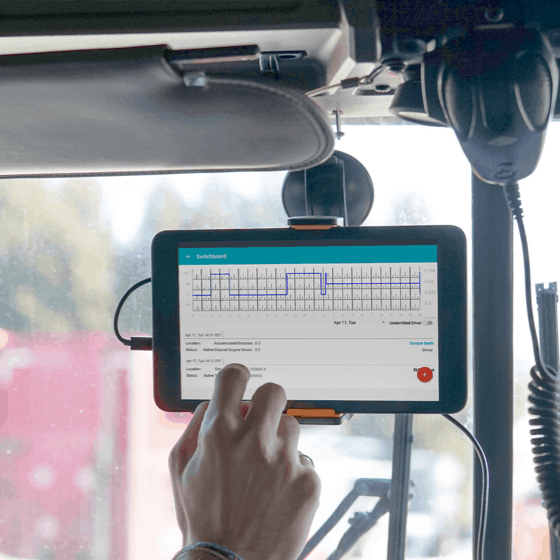 It's simple to use, and also has all the features required for proper compliance and fleet management. Switchboard is really easy to use. Our drivers were able to figure out how to operate it on their first trips out. We researched and tested over 5 different providers and we selected Switchboard, one of the best decisions we’ve ever made.